Aim Achiever institute is the top institute in Chandigarh that provides NDA Coaching at reasonable prices. We have experienced faculty that provides high quality of education to our students. 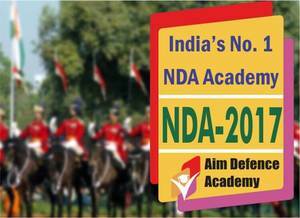 Our objective is to provide advance study of NDA in Chandigarh. We also help our students to crack the NDA exam. Here you can get to know something new. Our institute is best then other institutes in Chandigarh. For more information you can visit our website.